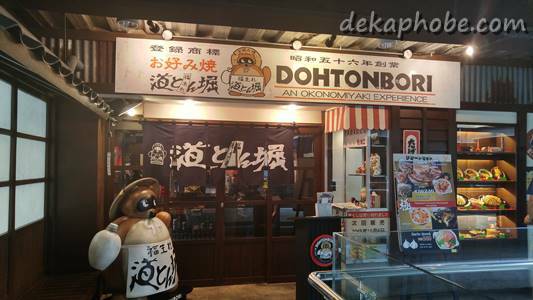 [i am a dekaphobic]: Okonomiyaki and More at Dohtonbori! I was seriously impressed with the Omelette Yakisoba, a combination of sweet and savory flavors. Though it was a little heavy for a starter dish, we enjoyed this noodle dish until it was gone. We also tried the Kiwami Premium Pork Okonomiyaki (Php 390), a premium flavor with thick slices of imported pork. I was blown away with the deliciousness of the okonomiyaki. The pork is very tender and made the okonomiyaki taste a lot better. I would love to have this again soon. We also had Pork Yakiniku (Php 180) and Gyu-tan (Php 330). Both the Pork Yakiniku and the Gyu-tan (or Ox Tongue with long onions and sesame oil) are soft and delectable. Other location is at SM North EDSA.